Get Your Proteins In. Eat More Plants! People ask me for “protein” suggestions, usually meaning quick and easy bars and shakes. I no longer use those. I find there are just way too many hidden ingredients in them, many I can’t even read! “Protein” is now a manufacturer’s marketing catch phrase anymore, where much of it is very engineered and super inflammatory to our systems. Hello digestive distress and bloat. So I avoid it. My answer to getting more protein: Plants! 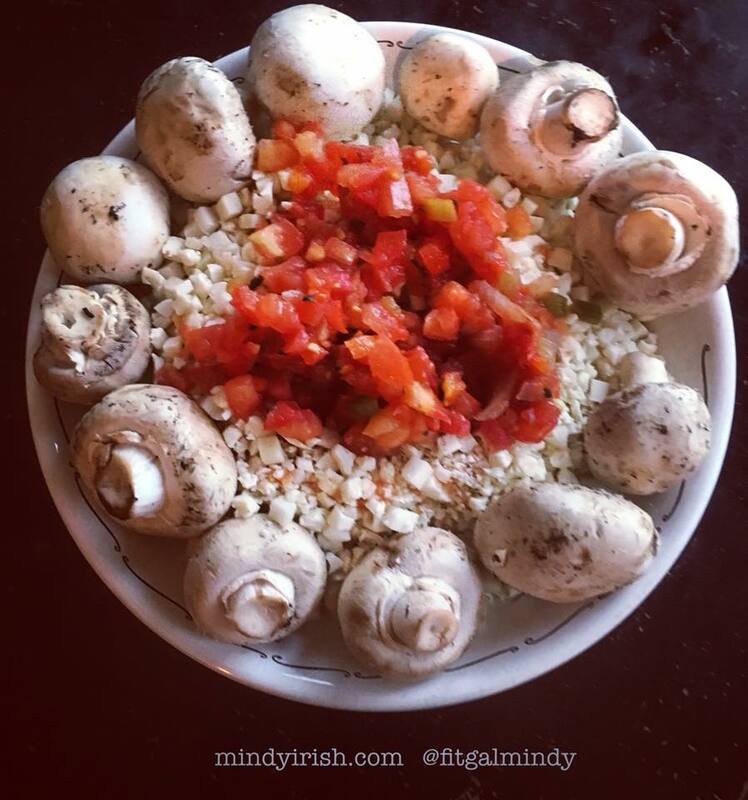 This plate of food art has 2oz of ground beef hidden below, riced cauliflower, mushrooms, and salsa and contains a total of 30 grams of protein, 19 of those belonging to the plants! Need protein ideas? It’s simple. Look at what grows. And the ingredients are super easy to recognize and pronounce, too!